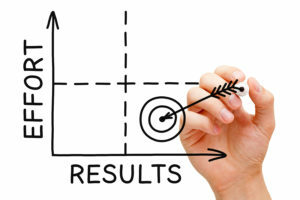 Management entrance exams in India are primarily elimination tests. The institution decides on a cut off for the written test and those students who clears the cut off again undergoes screening through various procedures like GD, WAT, PI. Common admission test is the first thing that comes to our mind when we think about MBA entrance exams but CAT isn’t the only path to your dream b school. Here’s an overview of the important exams so that you know how to prepare. CAT is the most important one among all these tests and more candidate takes this than any of the others. More than 2 lakhs students appear for the exam every year. Test usually computer based conducted in November having 3 hours duration by IIM’s. Xavier aptitude test is a national level pen and paper based exam. The admission of XLR Jamshedpur and other Xavier associates management institutes and over 140 B schools will take place through XAT scores. Reasoning type of questions deals with our ability to get conclusions from the given statements of hints. The given statement may not be true by sense. But we need to believe that the given statement is true and by believing that truth we should take conclusions. It actually test our logical ability. Gate coaching center Kochi try to develop the logical reasoning ability by doing various types of problems. The reasoning type of questions can be classified into verbal reasoning and nonverbal reasoning. Series completion type questions are more common in verbal reasoning type. 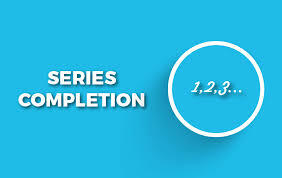 In series completion questions some sequence may be given and three or four components of that particular series will be shown. We need to complete or find the next component or missing component. From the components given we need to crack the logic behind the series. For eg 2, 4, 6, this series is given. We need to know how 4 is obtained from 2 and how 6 is obtained from 4 likewise. We need to identify the logic behind the series. Some series may have connection in alternate terms. For e.g. 4, 3, 8, 6, 12, 9… in this series alternate terms are connected. There is no set rule or set pattern for this type of question. The logic and sequence we need to identify using our common sense and reasoning ability. 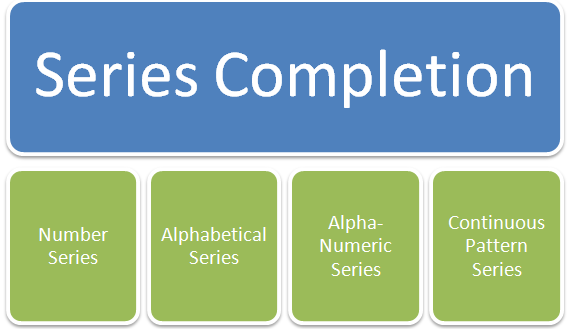 The series completion may include alphabet series, letter series, number series etc. 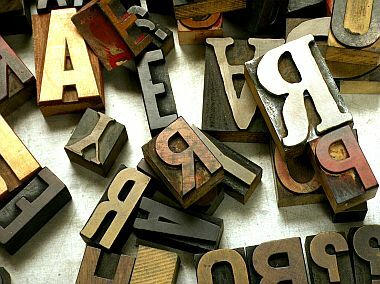 the alphabet series may be in regular order like skipping each number of alphabets from between alphabets. For e.g. A, C, F, H… The skipping number can get increased in a series. For e.g. skipping one alphabet first then two alphabet and then three likewise. For e.g. A, C, F, J… It can also be in decreasing order. The number series can consist of different patterns. Series of squares, cubes, square roots, cube roots, and etc. series may consist of numbers with a common difference between them. Arithmetic progression, geometric progression, are series with common difference and this common difference may be a number in case of AP and may be a ratio in case of GP. Mixed type of series can also be there in questions. Some series may have numbers where the digits are connected. For e.g. 475., 586, 695,. Here in this series each digits of each number is connected likewise many pattern can arise in this series completion type questions. All we need to do is identifying the logic behind it. Verbal ability is a section in GATE exams where some students feel difficulty in dealing with. GATE coaching centers and academies are giving coaching for students in verbal ability development to crack that section in the gate exam. Some students fear to attend English section as they believe they don’t know much English grammar. Gate coaching try to avoid the fear in the minds of students and make them feel that there is nothing to fear about verbal ability section in gate exams. Students can develop new habits so that they can make the verbal section easy. First basic thing students can do is the newspaper reading. Students must read newspaper daily. It will increase the general awareness will also develop fluency. By reading editorial we will come across good phrases and words. If some unknown words come in the content make sure that you refer dictionaries to learn its meaning. Referring dictionaries will make your eyes strike another new word. Likewise your knowledge about English language will increase. There are lots of books available providing grammar exercises questions. Doing many questions will avoid lots of confusions and clarify the doubts regarding it. Doing more and more exercises makes many questions familiar. Getting a familiar question in an exam saves a lot of time in problem solving. Try to learn a new word daily. Try to get more information about that word too. If any synonym and antonym is there try to learn that too. If you come across any new word while doing exercise note down the word and learn its meaning. This will develop your vocabulary. Search internet to see the situation where the word is used and in which situations the word can be used and also learn how the word is used. We must make all these points into our habit. We must have a mind which is willing to learn things and highly motivated and competitive to crack the gate exam. 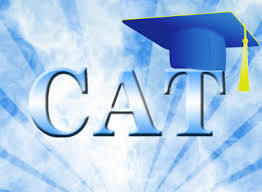 Reliant Academy is the best Gate Coaching center in kochi kerala. Admission to postgraduate programmes with MHRD and some other government scholarships assistantships in engineering colleges/institutes in open to those who qualify through GATE. GATE qualified candidates with Bachelor’s degree in Engineering/Technology/ Architecture or Master’s degree in any branch of Science/Mathematics/Statics/ Computer Applications are eligible for admission to master/Doctoral programmes in Engineering/Technology/Architecture as well as for Doctoral Programmes in relevant branches of Science with MHRD or other government scholarships/assistantship . Candidates with Master’s degree in in Engineering/Technology/ Architecture may seek admission to relevant PhD programmes with scholarships/assistantship without appearing in the GATE Examination. GATE qualified candidates are also eligible for the awards of Junior Research Fellowship in CSIR Laboratories and CSIR sponsored projects. Top rank holders in some GATE paper are entitle to apply for “Shyamma Prasad Mukharjee Fellowship” awarded by CSIR. Some government organizations prescribe GATE qualification as a requirement for applying to the post of Scientist/ Engineer. Master’s degree in any branch of Science/Mathematics/Statics/ Computer Applications or equivalent and those who are in the final or pre-final year of such programmes. Integrated Master’s degree programme in Engineering/Technology. Candidates with qualifications obtained through examinations conducted by professional societies recognized by UPSC/AICTE (e g : AMIE by IE(I), AMICE(I) by the Institute of Civil Engineers (India)-ICE (I)) as equivalent to BE/B-Tech. Those who have completed section A or equivalent of such professional courses are also eligible. A candidate declared “GATE qualified at the time of admission” is entitled for MHRD fellowship for 204 months unless he/she looses it due to poor performance in the registered programme. The student of Integrated Master Degree and Dual Degree programmes in Engineering /Technology are eligible to appear in GATE in order to qualify for the postgraduate scholarship in their own institutions only. They are not eligible for admission to a fresh M.E/ M.Tech Programmes. Aim for taking GATE exam varies from candidate to candidate. Students from private engineering colleges try to get into M-Tech in order to have stamp of the better known institutions and for them reasonable percentile should the purpose. On the other hand , students studying in well-established institutes may aim to get into IIT or equivalent institutions. For the m very high percentile is essential. Normally 3 to 4 months of serious study should be sufficient for the preparation. In the first run study all topic as per syllabus. In the revision stage concentrate more on selected topics. Try to solve papers of previous years. This will give you an idea about the mismatch between the actual paper and your level of preparation. Fill up the gap by extra study. Try to take up practice test. After declaration of GATE results, students must apply to individual institute to get their application forms. Institutes advertise for M-Tech admissions in leading newspapers from 1st April till the end of July. However some institutes do not advertise and therefor students have to send requested for the application to the institutes directly. An admission in the institute is based on GATE percentile. The concern institute may conduct written test and/or interview for the purpose of admission. If you GATE score is 96, you can go for admission in RECs Roorkee, BITS Pilani etc. If less than 85, you have to look for other appropriate institute. One day before the exam, revise the course. During the exam, try section A first Q1 carry one mark each and those in Q2 carry two marks each. Manage the time well during the exam. In the hall one should not get panicky upon receiving the question paper.Candidate should stay cool before the test, so that they do not get confused while attempting the paper. Time management is important but not at the cost of answering the paper accurately. Do not try to get hold of the entire syllabus prescribed for GATE .A selective preparation would be a very helpful concept and should be learned accurately.Memorization of any problem without a clear idea of the concept will be futile exercise. It is better to have flexible time plan before going to exam and have a balance of mind. It helps in avoiding silly mistakes.